Sometimes its necessary to supplement your blog content for a variety of reasons. Maybe you’re going on vacation, maybe your just out of ideas or maybe your tired of your blog and its just been too much work to keep posting on a regular basis. Whatever the reason, some bloggers, especially internet marketers have started looking into autoblogging. There are many types and methods of posting automatically to blogs. Usually the blog owner will install an autoblogging plugin such as WpRobot. WpRobot offers a variety of content sources to autoblog with, rss being one of them. Most rss autoposters will post the rss feed exactly as it has been compiled. I mean, the rss feed is a Title and maybe a sentence or two with a link to read the full article. This doesn’t make much sense if you have a content rich blog and you’re concerned about the quality of your posts. Ideally we would want to post an rss feed and have the plugin pull the full article from the rss feed. Well…..there aren’t very many solutions to this problem. If the original form of the rss feed is the snippet type, then your plugin will post a snippet…..if the rss feed is the full article, then your autposter will post a full article. That being the case, here’s a video that shows you how to located full article rss feeds. Once you find these feeds and compile them, you can then stick them in an autoblogger or autoposter like WPRobot and post full articles. Your blog will look better, your readers will appreciate the full articles and you can take a break!!! I responded to a forum post and mentioned using the RSS feed from your blog for driving traffic to your blog. I was talking about taking your feed and submitting it to the various rss aggregators and directories for backlinks. You can easily do this by hand or you can use software to submit your feed automatically to just about every rss directory on the net. I use an automatic submission service or software that is a membership. Some people would rather purchase the software than pay a monthly fee. However, when submitting to sites that change, sometimes, on a weekly basis it’s best to use a reliable monthly fee submission service. The thought being that they will keep their list of directories updated as much as possible. Sometimes you can buy the submission software thinking that you are getting a deal, but the truth is, the software may work for a couple of months, but as time goes on it becomes less and less effective. The person from the forum wanted to know how to get more traffic to their blog. I mentioned a very simple way by using the rss feed of the blog. You can find your rss feed by clicking on that little orange button or if you have a wordpress blog you can take your url and add “feed” to the end and you should have your rss feed. For instance, my blog is located at www.Desktop-Wealth.com/blog and if I were to add “/feed” I would have my rss feed and it would look like www.Desktop-Wealth.com/blog/feed to confirm you have your rss feed, click on the link….go ahead and click on www.Desktop-Wealth.com/blog/feed after clicking on the link you should see the rss feed of my blog parsed out….that is you will see the latest 10 or 15 blog posts with snippets, if you click on any of the titles you will go to the actual post! If you want to see how to feed is coded, you’ll notice it uses very different tags than the standard html tags, depending on your internet browser, click on “View Source” and you’ll get an idea how rss feeds are coded. Now, if I submit that rss feed to the rss directories and rss aggregators it will be available for anyone to use, the search engine spiders will go to each location of my rss feed and include it in the search engines for my specific keywords and articles. The result is more traffic! Others might use my feed in a news directory of some sort so my rss feed becomes content for their blog and in turn I get relevant backlinks. You will want to submit your rss feed to these directories. Typically you will have to go to each of the rss directories and register before submitting your rss feed. The automated scripts and software will sometimes have you register for only a small number of rss directories and then submit to the rest automatically. Trust me this is a very powerful way to get a consistent surge of traffic to your website. I use a service with a funky name…..BadAssRss, go ahead and click on the link and give it a try. 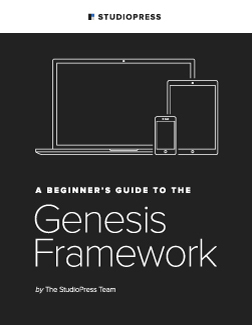 There is so much you can do with RSS it would take a 600 page book to explain all that rss can do. One thing you might want to do is take several of your sites, let’s say you make a blogger.com and wordpress.com blog….each of those will have an rss feed. Take those 2 feeds and your original feed and merge them into one, you can find a site to do this easy enough, in fact, http://feedmingle.com/ is one such location online that you can merge your rss feeds. Now that you have a new rss feed, submit it to the directories. If you’re using a service like BadAssRss you can do it in a couple of minutes. Each of these sites have rss feeds and you can combine and use them for traffic to your blog. You can use all these to get links back to your site, and you can do various combinations of their rss feeds and submit each one separately. I shouldn’t confuse you if you are an rss newbie, but there is another way to use rss feeds. There is a script called Slick Autoposter ….this is a script that can use rss feeds to create posts on your blog, it’s a way of automating your blog posts. There is another script called Article Stalker, this script builds a depository of reprint right articles which allows you to search for articles by keyword. For instance I could search for “RSS” and it would bring up all the reprint right articles containing RSS in the title and automatically create a “rss feed” out of those articles. Instead of just being snippets of articles these are entire articles and you can use Slick Autoposter to automatically drip the articles into your blog for your readers and the search engines. There are so many ways to use rss feeds, I really suggest you spend a little time each week getting to understand rss feeds and what you can do with them! RSS, or Really Simple Syndication (sometimes referred to as Rich Site Summary) is a means by which blogs can broadcast their content to a number of services and individuals easily. Some have gone so far as to argue that RSS is one of the chief reasons why blogging holds so much potential. An RSS feed collects the content of your post (depending on your software, you can opt to syndicate the entire post, just a headline, or some other combination) and then sends it in readable, plain text, to any of the targets you might choose. Bloggers often submit their RSS feeds to popular blog directories, RSS directories and search engines. Users can then find the feeds in which they are interested and “subscribe to them,” reading them with an RSS feed reader. They may also simply read your feed and then hop on over to your site. RSS feeds are a great way of promoting your blog. There is also some evidence to suggest that RSS feeds can serve to boost the results of your blog in search engine rankings. They are also a wonderful way of getting noticed by at least one of the major search engines. Your blogging software will probably handle the process of creating an RSS feed for your blog automatically. For instance, those blogging at Blogger.com are automatically “given” an RSS feed (in Atom format) that they can burn and use. Other blogging services provide RSS feeds, as well. If your blog service provider or software doesn’t automatically create an RSS feed for your blog, you can build one yourself. Those experienced with HTML may want to hand-code their RSS feed. Those of us who prefer a quicker solution can choose from a variety of software tools (many of which are freeware) to accomplish the goal. Having a feed will not do you much good if no one reads it! Thus, you must share your RSS feed with others. This can be done, in large measure, by using one of the multiple site ping services mentioned earlier. Pingoat, for instance, will request your RSS feed and will transmit it to a number of sites that aggregate these feeds. You can also opt to submit your feed to any number of other RSS aggregators. A relatively long list of options, for instance, is currently available at http://www.rss-specifications.com/rss-submission.htm. 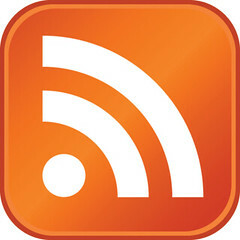 A great place to manage your RSS feed needs is at Feedburner, which can be found at http://www.feedburner.com. This free service provides you with a number of tools that can make sharing your RSS feed easier and more effective. It also offers free circulation traffic (just in case you want to know how many people are tracking your feed) and a lot of handy ways to help other subscribe to your feed. You can skip manual submissions by using a service to submit your rss feeds to, I use an Automatic RSS Submission service that submits to over 200 rss directories. There is a now well-known technique that may enable your site to be discovered and indexed by the Yahoo search engine in record time. This technique makes use of your RSS feed and is a relatively simple thing to do. You must have a free Yahoo account in order to do this. Create an account if you do not already have one. The sign up procedure is fast and simple. After logging into your Yahoo account, go to the “My Yahoo” page. There you will find an option to add content to your page. 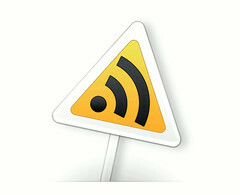 You can add content in the form of your blog’s RSS feed. It is a simple and intuitive process that will only require you to have the URL of your RSS feed (which is easily locatable via your blogging software or service). One you add your RSS feed to your content page, Yahoo will track the RSS feed in order to keep your page updated with developments. As a result, you have instructed Yahoo to find and note changes made to your blog. This strategy has successfully allowed many blogs to find their way into Yahoo results in record time. It has been referred to as the Yahoo backdoor and is now a practice commonly used when launching a new blog. With greater use by more people, its effectiveness may have diminished somewhat (especially in terms of search engine results), but it still is the fastest way to crack into any of the big three search engines. 1. Don’t forget to update! Make sure you remember to either ping using a mass-ping service or to manually alert RSS aggregators about your feed every time you update. Otherwise, you are losing some of the potential value of the feed. 2. Make your feed a moneymaker! Some bloggers who are particularly interested in making their blog pay may want to consider using their RSS feed as a vehicle for advertising. Google’s Adsense program has operated a program to allow some Adsense publishers place ads in their feeds and other means of feed advertising are growing. Traffic, everybody wants website traffic! Nobody but a sadist wants to be in traffic. You can spend days, weeks or months researching the various ways to get website traffic and with all things related to internet marketing you never know who’s got the right stuff. I mean, you never know who is legitimate or who hired a ghostwriter to put up a few articles or ebook. So at the risk of repeating myself, make sure you’re being mentored or following real internet marketers. That is, people who have had success online and are actually making money. I belong to an internet marketing forum called Earn1KaDay that has a small monthly fee but you can be confident that the advice is solid. In fact, the very purpose of Earn1KaDay is to get each member making $1,000 a day. It might sound like a lot, but it’s accomplished in baby steps. Dennis Becker, the founder, started off with the concept of making 5BucksADay, a very doable task if you know the right stuff. Learn How to Make 5 Bucks A Day! ……it will change your life!!! Sorry….I got a little distracted. I wanted to mention a technique I tried today. I don’t have any results but I think it will be promising. I’ve been watching a site called www.scibd.com , it’s site you can upload documents of just about any kind and they are offered free for the public to view and use. You can really let your imagination go wild with the type of documents you would upload. I’m thinking mainly pdf’s and word .doc’s. If you do much affiliate marketing, many of the good affiliate programs will offer you branded pdf’s and these would make excellent material for the Scribd site. The strategy is simple. Take or create a pdf explaining a product, concept or method, make sure you have it loaded with affiliate links and upload it to the Scribd site. Make sure you do some social bookmarking and see what happens. As with all things, if you upload some garbage or spammy documents, nobody is going to want to download your scribd document. Next thing to do is go to your personal page, mine is http://www.scribd.com/scottparat and look for the rss icon. Grab the icon feed and start submitting it to the rss feed sites. You’ll be surprised at the traffic that will come in over time. You can automate the RSS Submissions, I found this service to be excellent and gives you some great backlinks. Back at the Scribd site you can grab a variety of links for any of the documents you upload, for instant if you want to post one on your blog, just grab the embed link. Below you’ll see an example of a pdf I uploaded called Unique Content Traffic. Rss feeds are intimidating to the newbie when they first lay eyes on the word. But if you are comfortable with rss feeds then you should really check out Rss Feeds for Youtube. After seeing the word rss, sooner or latter you decide to see what it’s all about, of course you read that rss feeds are the greatest things since sliced bread. If you have a wordpress blog, your cpanel autmatically makes the blog and you have these little rss symbols all over the blog. You read that you need to submit your rss feeds….but as far as your concerned only God knows where you submit them or even how to get your rss feed. Even if you could find a rss feed for youtube, you might not know what to do with it. Once you get an rss feed and click on it, all you see is some code that resembles html coding but has some new characters and different formatting….now what? Well, that pretty much summed me up. I took a long time for me to start reading and forcing myself to understand rss feeds. Once I did a whole new world opened up. I could create pages with automatically updating information. I could even use rss feeds in data feeds to promote affiliate products….the list is almost endless. And I began to search for rss feeds for just about every type of website, such as looking for rss feeds for youtube. At one point in the history of rss feeds it they were being promoted as taking over email….especially from an internet marketers point of view. The problem with email is obvious since it still exists……and is called SPAM! Rss didn’t take the place of email because it simply is still a little too complicated for the complete newbie to try and figure out….but it’s getting close and trust me, I’m sure it will happen some day. The big benefit with rss feeds is that you can subscribe only to those feeds that you want. If you find a blogger, website or even a site like youtube you can grab their rss feed and stick it in your reader….no more spam. One great part about rss feeds is that google loves them. That alone makes it worthwhile to try and figure out how to use. So now you find many services of various kinds that involve some kind of content will have an rss feed. Well…I wanted to share my frustration with rss feeds when it came to YouTube. I was interested in grabbing only specific videos, maybe even only 1 video and had hoped I would easily be able to grab an rss feed that would allow me to filter out everything except what I wanted….either by keyword or by channel, maybe by author. Yes, I was wrong. I thought google would have made that rss magic happen already but it seems to be a bit of a geeky thing still. I tried to read the YouTube help files, scanned through the forums only to read stuff that I was clueless on. Next I did a google search for Youtube and RSS and the results were just about as disappointing. Just about ready to quit and give up on finding some rss magic for youtube, I clicked on the google result one more time and I hit paydirt! You’ll find a brief explaination and example of each. Bottom line you can be much more specific when sorting youtube videos to be included in your youtube rss feed. Which of course can then be put in your rss reader or used with another script which can then be used to display content on your website. The feeds I created worked perfect with Peter Drew’s BadAssRss RSS Submitter program. In fact this program is one way to really get the most of your rss feeds and it will literally get your sites parked on page 1 of google….and I hate to sound like the proverbial “tin man”, but it really works. First page on google within 24 hours for the right keywords, which is explained in the tutorial videos. If you haven’t heard of Peter Drew, he’s sort of an Interent Marketer Magician with RSS. I’ve followed him for the last 2 years and he keeps finding new ways to monetize rss feeds and use rss feeds to get your sites up on the first page of google, his proven product BadAssRss is worth checking out! Basically, you’ll be working with long tailed kewyord phrases with a small amount of competition. These of course can be found with James Jones’ keyword tool called Micro Niche Finder, best on the market in my humble opinion. The theory involves finding a handfull of long tailed keywords in one niche and get them all on page one….how you monetize the sites is totally up to you, but since you’re on page 1, anything goes!!! Are you a blogger? Ever hear of Video Utility Poster? If you use your blog for income or for disseminating information, then your goal is to develop a following. And there is nothing worse than a sporadic blogger, that’s where Video Utility Poster comes in. For instance I ran across a plr book I had on “How to RSS”. First actually I stumbled on a post by Josh Spaulding on the how to’s of rss, then I ran across an ebook I had and thought I would share some of the information on “How to RSS” with my readers. The next thing you know I got caught up in another project, then it was ThanksGiving weekend and my plans for doing a detailed overview of how to rss got squashed. Yet according to keyword research there are many searches for information of rss. Everybody is a newbie at some time, so I feel obligated to go over the fundamentals of the interent, website building, and internet marketing…..as time allows. When RSS first came out I was so confused I just put it on the back burner….adding it to the list of things I needed to learn someday. Doing that caused me to miss out on a lot. So….if you’re blogging and get interrupted how can Video Utility Poster help? If I want to keep my readers in the loop on a subject or a series of blog posts like how to rss….what can video Utility Poster do for me? You can see in the videos below more information on how to use rss feeds, how to use rss readers, how to place rss on your website. This post took me a couple of minutes to write and another couple of minutes to drag in the videos with Video Utility Poster…..that’s what VUP can do for you! How to RSS…..RSS Feeds stands for Really Simple Syndication. Other times it is also called Rich Site Summary. But both have same meanings. The first time you see this, it may appear complex. But as you go along on your information gathering venture in the cyber world, you will encounter this many times. Have you ever tried clicking on one? After How to RSS, Next What to RSS? You can compare RSS to a website or blog that offers web surfers something to read or a news feed of vast information. Everyone can determine what information they like for free to their own news reader. It can also be displayed on your PC’s desktop or in the web browser that you are using. So if you have click on the information provider of your choice, the news will be given to you as they come so you no longer need to check the site back for any updates. This made it easier for web users, especially those who were fond of subscribing to newsletters of their chosen site. It eliminates the hassle of checking your email everyday just to know if there is any update on your preferred site. The concept behind viewing rss feeds can be compared to how you want to get your newspapers. You probably don’t want to go to a stand everyday just to buy one. It will be easier if you will get your daily newspaper delivered to you each day. By clicking on the RSS feature of the site of your choice, the information in that rss feed will be made available at your PC’s desktop as long as you are connected to the Internet. All those information could be read or ignored, ready to be shared and printed. That’s the basic of how to rss….if you are only concerned about reading rss feeds. RSS is easy to use. As long as you a connection and a web browser, you are ready to go. You can filter through the information and click on the topics that you find interesting. You can customize your choice and delete or add something every day. It is that simple. You will get all the information you want on a daily basis without having to go through all the individual web pages. You probably didn’t know that RSS was invented by Netscape? They used it at the time when they were struggling to enter the portal biz. They wanted the RSS .90, an XML format, which would make news gathering and adding those on their site a breeze. After a time, they came up with the RSS .91 but discontinued when they didn’t push through with the portal business. This is where UserLand Software picked it up. They didn’t stop developing the idea. They had versions like .92, .93 and .94. They then developed their own interpretation of the original idea through the RSS 1.0. This is still being developed and as of late, they have the RSS 2.0. Source of Information…A Big How To RSS! You can also utilize RSS on your own web site. But rather than updating the feature manually, you can choose to use a tool like Weblog. This will automatically create the headlines, the links and descriptions. A course called Rogue RSS describes how to rss, it shows you how to creatively use rss feeds for content on your websites or blogs….trust me, you haven’t seen a more creative use of rss feeds and those interested in learning the how to of rss….this rss course is for you. At this day and age, information is vast and scattered all over the web. And as days go by, it becomes easier for people to choose the kind of information that they want to be given to them whenever they need such. Thanks to the ever developing concept of RSS Feeds. Josh Spaulding does a great job with some refresher info or How to RSS where he discusses some of the basics to using RSS and What Rss Means. For instance if you wanted to keep up with my blog Desktop-Wealth….just click on the link, leave your email address and each new post will be emailed to you…..that’s one way to use RSS feeds. If you wanted to see what an rss feed looks like, click on Desktop-Wealth RSS Feed. You can add this feed to your yahoo page or google page….great for getting some link luv. RSS has been around for quite a while….I remember when it first was introduced “the gurus” proclaimed that it would replace email. If you remember, email needed and might still need replacement because of the spam problem. Interent service providers were blocking everybody’s emails. Consequently there were software programs and scripts developed that allowed anyone to add the desired RSS feed and have it show up instantly on your members of visitors desktop. You can imagine how internet marketers were drewling over the possibilities……no spam blockers, content delivered right to someone’s desktop……rss had to be a gift from heaven. So it’s important to really GET the “how to rss” in the near future. Well….rss never really caught on in that respect. However, for those in the know….we can selectively pick the rss feeds from the sites we follow and put them in a rss reader to keep an eye on what are favorite bloggers are doing. Understanding how to rss is very important. Josh explains the concept of how to use rss feeds for keeping up on subjects, bloggers and websites. There is so much more one can do with rss, however, to keep it simple……use it to keep up on your favorite subject. Do a little research and began to see what the possiblities are when using rss and learn how many different ways rss can be used to make money. At first I wasn’t going to comment on Josh’s rss post. After all, I already knew a lot about rss feeds. (although not nearly everything). Then I started thinking, after you’ve been online for a while….one can get a little pompous and arogant about the knowledge they’ve compiled. That’s a little sic! So why not share some of the how to’s of rss. New people are jumping on the web every day…..rss could mean just about anything and problem means nothing to the newbie….so kudos to you Josh for getting newbie that’s been blinded by the light.